Nomex® Flyers, Tactical gloves, Short length with Buckle closure. This Nomex® tactical glove provide greatest dexterity and comfort. Nomex® features of Flame, Flash, and heat fire resistant up to 700°. It is made entirely of seven ounce heavyweight 100% NOMEX®, a fire retardant material that will not sustain a flame. These properties have made NOMEX® a requirement or standard in many law enforcement and public safety agencies. 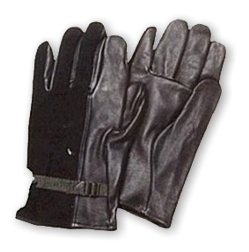 This glove popular style in flight crew and pilots. It ideal for heat and flash protection when deploying flash bangs.